Burness Paull has been named Legal Advisor of the Year at the 2018 Scottish Business Insider Deals & Dealmakers Awards. 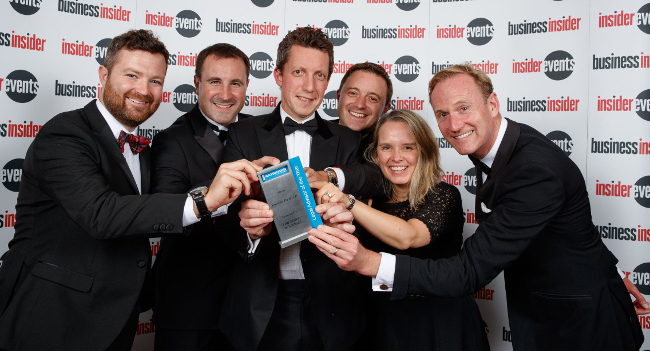 The firm, which has already topped the table of corporate dealmakers in Scotland for the third year running, added the award to its collection at the annual black-tie ceremony in Glasgow. The awards are based on deals completed in the fiscal year 2017/18, and the independent Scottish firm posted a record-breaking performance - advising on 296 publishable transactions with a total value of £42.8 billion. Mark Ellis, head of corporate finance at Burness Paull, said: “Our experienced and talented team have been involved in a huge range of exciting transactions throughout the year, from IPOs to M&A activity. “The team has consistently delivered great value for clients in fields such as finance, capital markets, oil & gas, technology, private equity and owner-managed businesses. Over the preceding 12 months the firm has advised on a number of deals, including: The Weir Group’s £89m acquisition of KOP Surface Products; AIM-listed Savannah Petroleum’s US$125m secondary placing and reverse takeover involving the principal business and assets of Nigeria based Seven Energy International; the sale of Maven Capital backed Crawford Scientific; Sterling Resource’s US$163m sale of its UK operating subsidiary to Orange-Nassau Energie; 1825 Financial Planning (Standard Life Aberdeen’s financial planning business) on its on-going acquisition strategy; Canada-based Kbro Inc on its acquisition of Fishers laundry services group; and Endless LLP’s acquisition of Arran Aromatics.